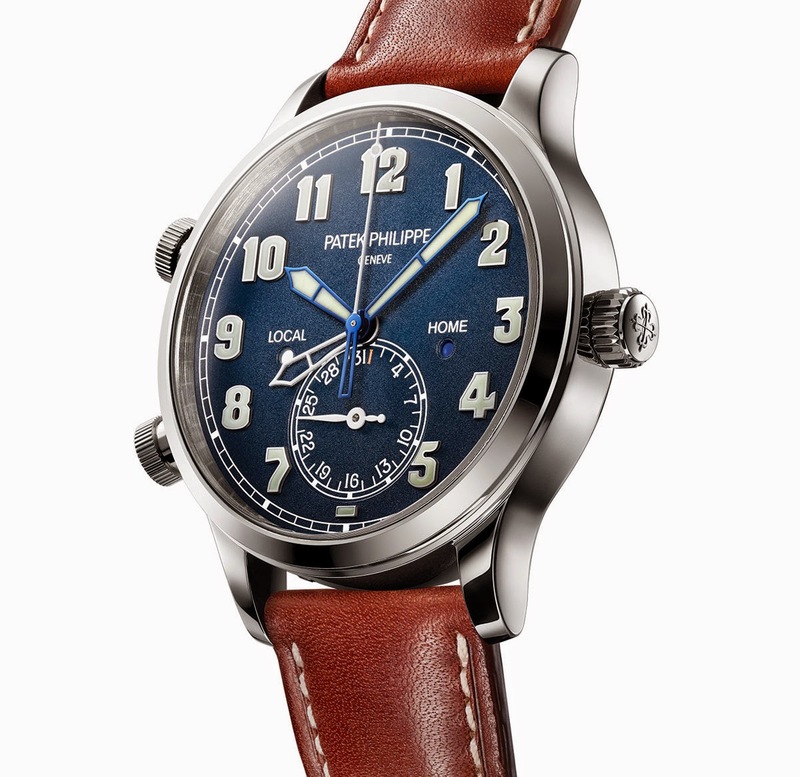 One of the most controversial new timepieces presented at Baselworld 2015 was the Philippe Calatrava Pilot Travel Time Ref. 5524. 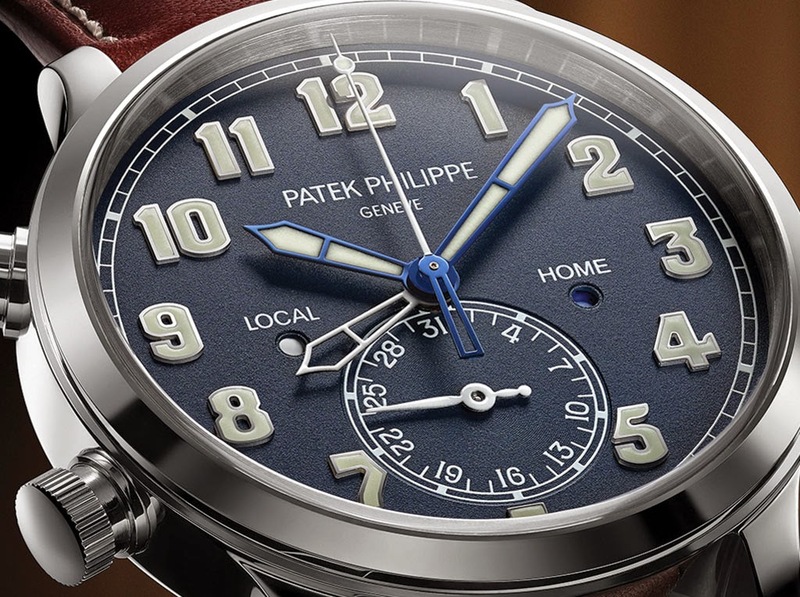 While it is true that the new reference is not the typical Patek Philippe that one would expect, it must be said that Patek Philippe is not new to pilot watches. 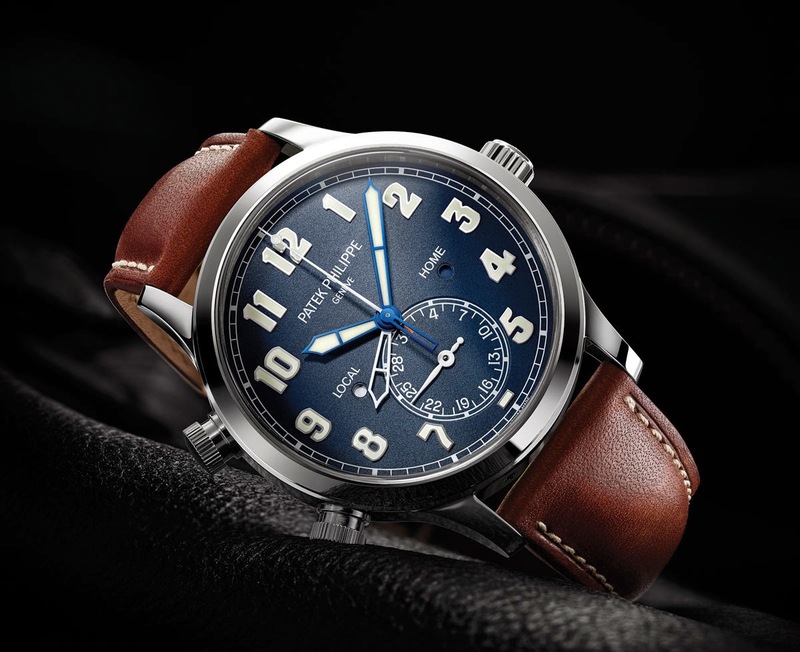 In some way, Patek Philippe is reminding the world that the Genevan manufacture contributed to the conquest of skies at the beginning of last century, an age of great changes also for the watchmaking world, with the migration from vest pocket to wristwatches. 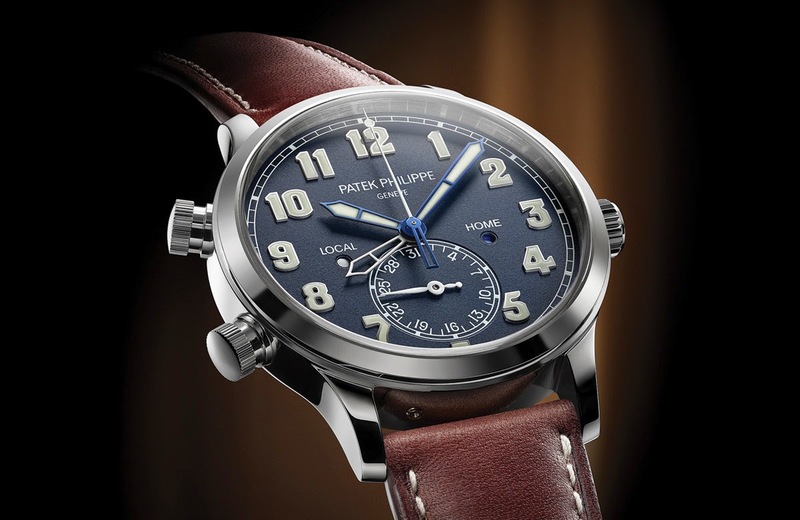 A noteworthy example was the aviator’s wristwatch made by Patek Philippe in 1936 and now in exposition at the Patek Philippe Musuem in Geneva. This 55mm timepiece, with a chromed nickel case and a black lacquer dial, features splittable center seconds and an hour angle dial. Luminous material was used to highlight the Arabic numerals and the outer 60 degrees scale, as well as the hands. It was most probably produced on request as a unique piece. Rather than taking direct inspiration from the hour-angle watch (a function which would be of limited usefulness in our times), for the new Calatrava Pilot Travel Time Ref. 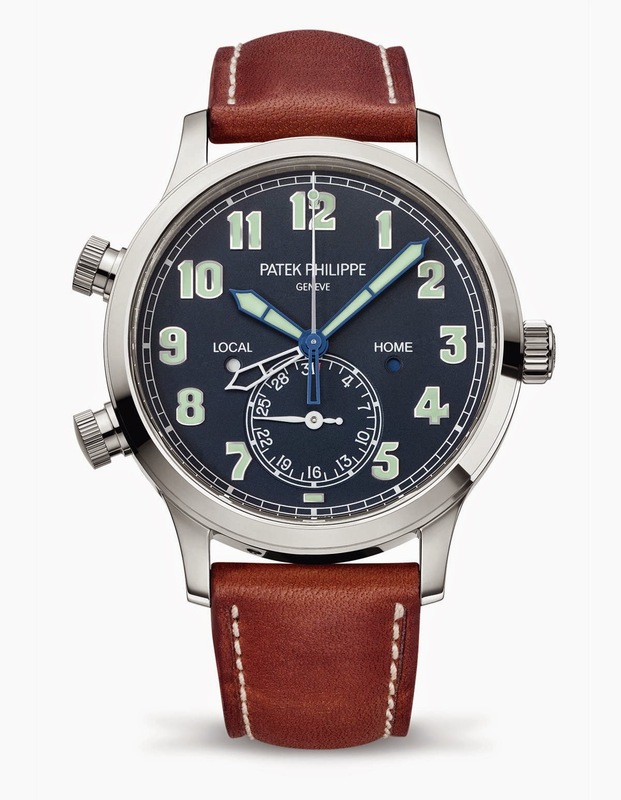 5524 Patek Philippe decided to develop a time-zone function that is especially useful in air travel. 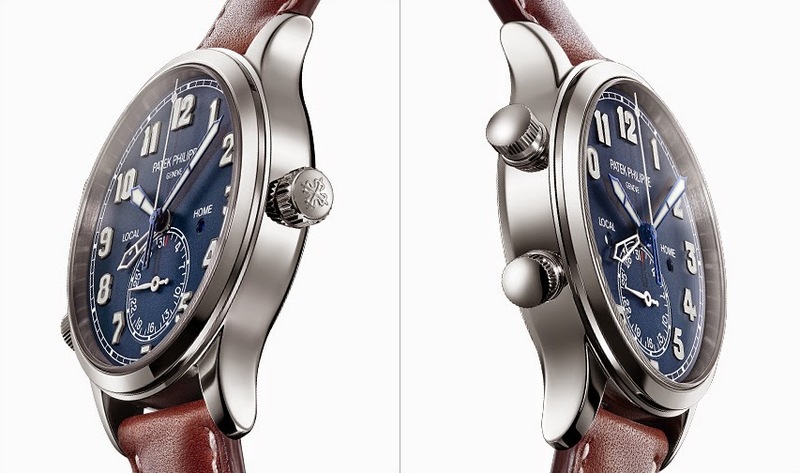 Framed in a masculine 42 mm x 11.1 mm white gold case, the large applied Arabic numerals in white gold and broad baton-style steel hands with Superluminova coatings stand out very clearly against the dark navy blue lacquer background. The home-time hour hand is skeletonized and remains in the background. It is hidden beneath the local-time hour hand when local and home time are identical. A separate day/night indicator is assigned to both time zones (at 9 o'clock for local time and at 3 o'clock for home time). 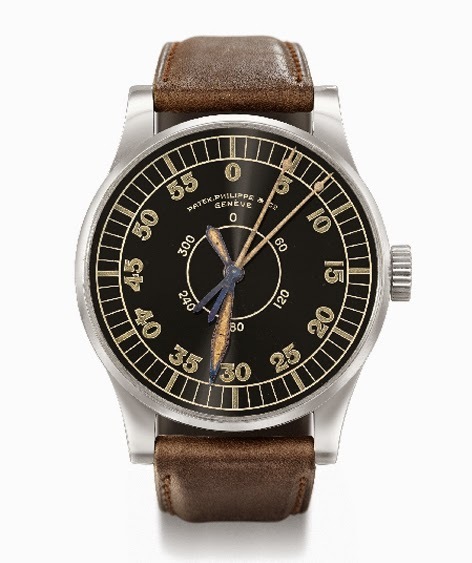 The dial is completed by an unusual analog date display at 6 o'clock where the date is represented in a 3-day increments scale. The crown and the two time-zone pushers at 8 (+1h) and 10 o'clock (-1h) are fluted for a slip-free grip. The two pushers are equipped with a patent-pending safety lock that prevents unintended adjustments of the local time setting. Before they can be operated, the pushers must be released with a quarter turn and then locked again with a twist in the opposite direction. When the local-time hour hand is moved forward or backward with the two pushers in the case, an isolator uncouples the time-zone mechanism from the going train. This prevents the degradation of the amplitude of the balance and allows it to continue oscillating at a regular rate. 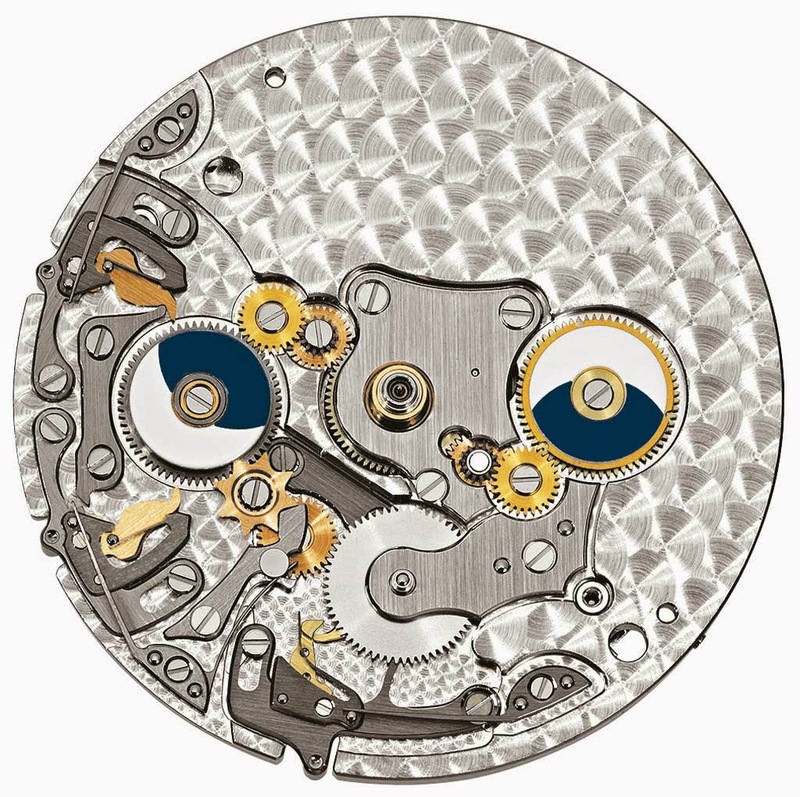 This advanced mechanism is part of the self-winding calibre 324 S C FUS manufacture movement with a heavy central rotor in 21K gold visible through the sapphire-crystal display back. 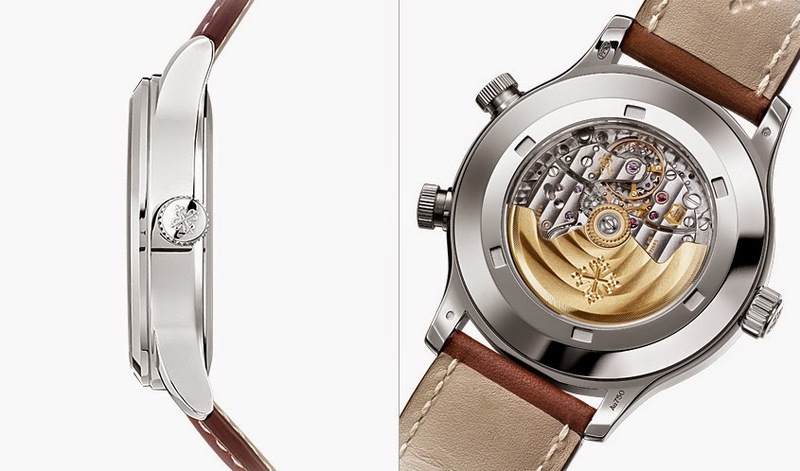 Beating at 28,800 vibrations per hour, it offers a power reserve between 35 and 45 hours when fully wound. 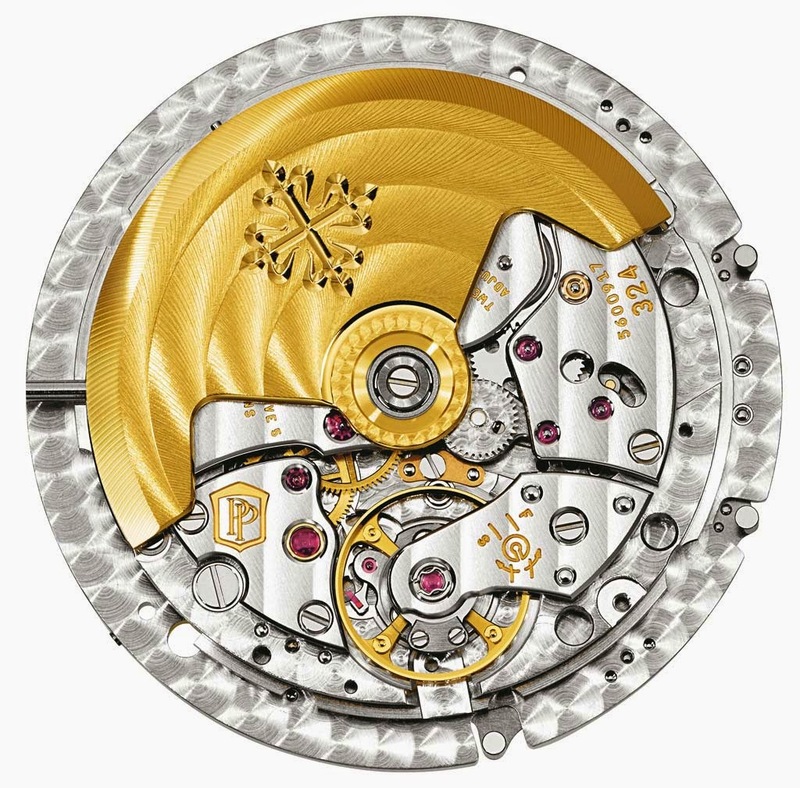 The rate accuracy tolerance of the movement is -3/+2 seconds per day as specified by the Patek Philippe Seal. 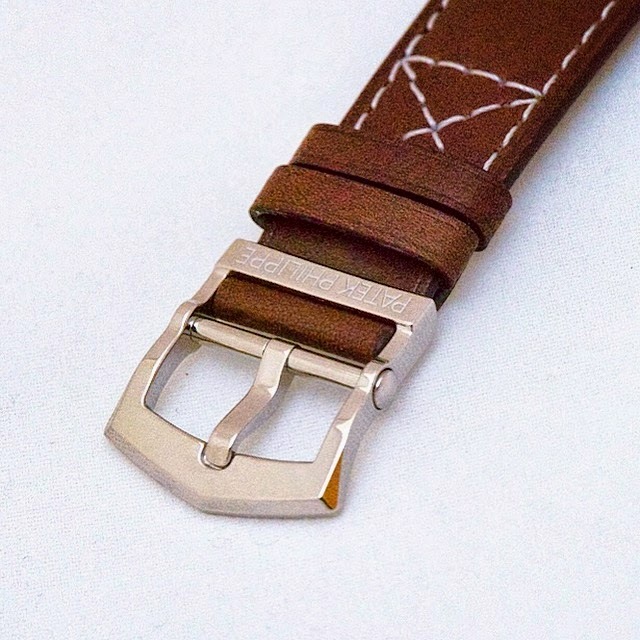 Crafted from vintage brown calfskin with contrast topstitching, the strap is secured by a white-gold clevis prong buckle inspired by the harnesses worn by pilots to keep their parachutes readily deployable. Why not? I don't mind it at all. People always complain: if you try something new, they complain. I f you keep doing the same things, they complain.